Is this your first visit to Healing Hearts Counseling? The following driving directions, photos, and map will help you find us. 1) Continue south on Taylor Rd (AL-271) and drive 1.69 miles. 2) Turn left onto Vaughn Rd. 3) On Vaughn Rd, drive 0.71 miles. 4) Turn left onto Copeland Crossing (see photo below). 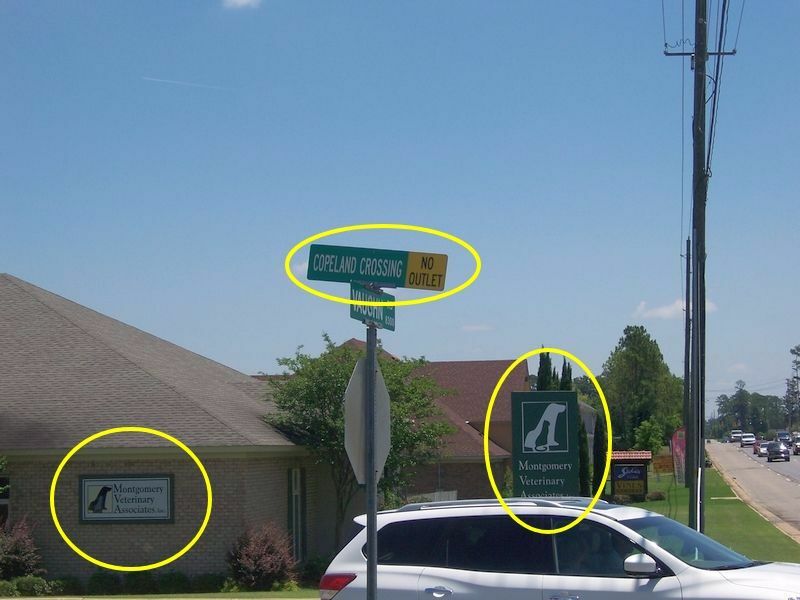 Turn left here onto Copeland Crossing. Look for the “Montgomery Veterinary Associates” signs. Click this image for larger view (opens in new window). Note: If you reach Halcyon Blvd you’ve gone about 0.1 miles too far. 5) On Copeland Crossing, drive 0.05 miles (to dead end). 6) Turn right onto Crossland Loop. 7) On Crossland Loop, drive 0.08 miles to end of road (see photo below). At end of road (cul-de-sac), veer right into parking lot. 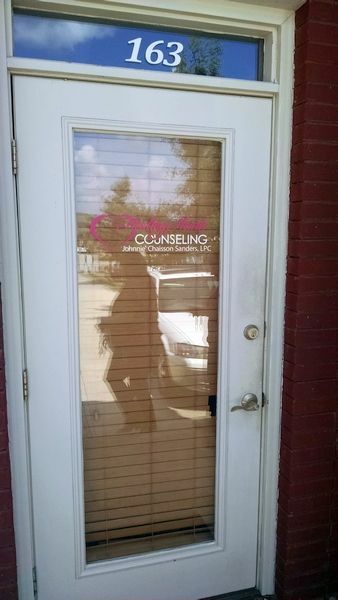 8) Healing Hearts Counseling is on the right, Suite 163 (see photo below). We’re in Suite #163 (far right end of “The Manuel Building III”). You’ll see our business name and logo on the entrance door. Welcome to Healing Hearts Counseling!